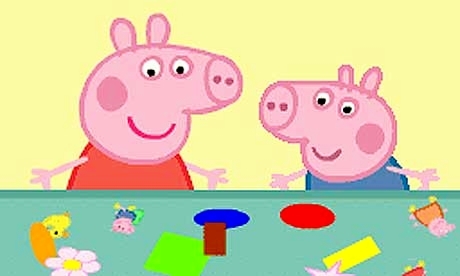 LOVEABLE children’s television cartoon characters Peppa Pig and her little brother George are coming to Ayr Racecourse! The cheeky little piggies will be at Ayr Racecourse’s Family Fun Days in July, and will be making five appearances each day - at totepool Armed Forces Family Raceday on Sunday 3 July and at Glasgow Fair Festival Family Raceday on Monday 18 July. Don’t forget to bring your camera, as there will be photo opportunities with Peppa and George, plus there will be many more attractions for the family - and all children under the age of 16 go free if accompanied by an adult, and all entertainment is also free. Peppa Pig and George are sure to be a big hit with all the children, and in addition there are many more attractions, including a Beat the Goalie, there will be fun fair rides, face painters, and lots lots more including an equisizer for children to hone their jockey skills. And a major attraction will be four appearances during both days from a top team of cheerleaders who will also be running workshops during the afternoon to pass on their cheerleading skills. And on 3 July only there will be a special performance of the popular children’s show The Kosmic Krew. There are seven races during each afternoon, with the first race on 3 July due off at 2.15 pm and on 18 July at 2.30 pm. Gates open two hours before the first race. 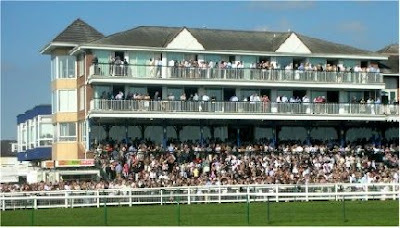 For more information on racing at Ayr go online at www.ayr-racecourse.co.uk or call 01292-264179 and there are tremendous savings of £3 a ticket on bookings made seven or more days in advance. For more information call Iain Ferguson on 01292 294972 or 07795 565691.